Chicago - or the Windy City as it is often called - is the third-largest city in the US and the largest city in Illinois and the Midwest. It covers roughly 228 sq miles. 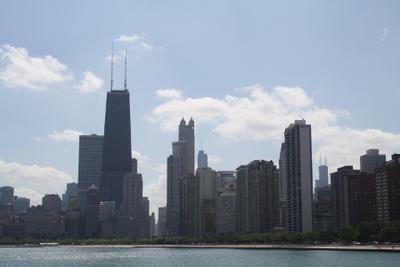 Chicago is home to around 2.9 million people and is the third-most densely populated major city in the US. English is the first language but there is a wide array of languages including Spanish, Polish and Russian. The currency is the US Dollar. What is Chicago`s number one attraction? There is so much to see and do in Chicago but the number one must-see attraction in the city is the Willis (Sears) Tower. This was once the tallest building in the world but is now just the tallest in the USA. Visitors can get to the top by purchasing Skydeck tickets which start at around $17.50 for adults. Are there any other attractions that should not be missed? Lots! If you are an art fan then a trip to the Art Institute of Chicago is a must see! Also a walk around Grant Park offers some stunning scenery and gardens. Then there’s Lincoln Park Zoo, the John Hancock Building and Shedd Aquarium, to name but a few! Where can you find Chicago`s finest architecture? You can find Chicago’s best architecture throughout the city. Michigan Avenue, or the Magnificent Mile as it is commonly referred to, boasts some of the Chicago’s finest buildings, such as Water Tower Place, the John Hancock Building, the Wrigley Building and the Tribune Tower. And if architecture is your thing then take a trip to 233 South Wacker Drive to check out the Willis (Sears) Tower. On average, how much does it cost to get into Chicago`s top attractions? If you plan on visiting a lot of Chicago attractions then purchasing a GoChicago Card would be a good money-saving option. The GoChicago Card starts at around $72 for a one-day adult pass to about $180 for a seven-day pass. This option gives you free entry for around 25 of Chicago’s top attractions. It’s also possible to see a lot of the city’s top spots for free with a little bit of planning as most of the museums offer free entry on certain days/times, including the Art Institute of Chicago. 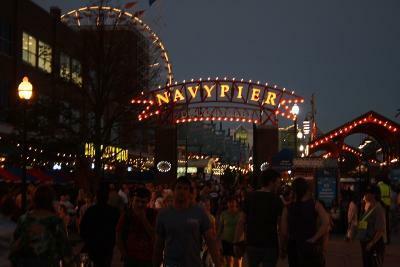 And then there are also a lot of outdoor attractions to avail of, such as Grant Park and Navy Pier. If you hear someone talking about ‘The Loop’ they are referring to downtown Chicago, which is the city centre. Also, it is enjoyable to walk around all the different neighbourhoods such as Wrigleyville, Belmont and Lincoln Park. 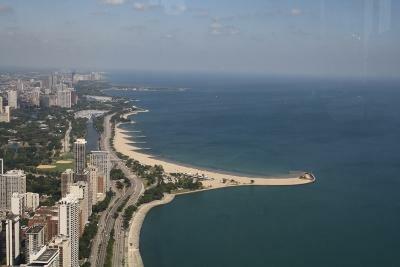 You could also spend a day strolling around Lake Michigan. And if you don’t fancy all that walking you can use the El train, as it has lots of stops all over the city. Is it expensive to go out in Chicago? That depends. It has a student side to it so you can always find some bars that have specials such as happy hours, two-for-ones and dollar beer nights. Also, if you stick to ‘well drinks’ instead of the branded makes then you won’t spend as much. Most bars offer free entry and entertainment also. Some nightclubs will charge a cover fee but stay open later. Where are most of the bars and clubs found? All over the city but they tend to group together in areas and streets that become popular nightlife spots. Some of these include Halsted Street, Lincoln Avenue and Clark Street. There’s also Rush and Division around the Gold Coast and Wrigleyville is the place to go for some pre/post Cubs game drinks. Yep! Most places all over the USA will ID you despite whatever age you look, as it is the law. If it’s not an American-issued ID then chances are most places will only accept your passport as proof. Is there anything to do that does not involve alcohol? Lots! There are plenty of theatres and shows on all over Chicago, as well as so many amazing art galleries and museums with late openings. You could also go to see a Chicago Cubs baseball game, a Chicago Bears football game or a Chicago Bulls basketball game. There are also lots of cinemas and comedy clubs. And don’t forget that Chicago is famous for its blues clubs and bars as well as its festival, so pay a visit to an old blues club like the Kingston Mines. 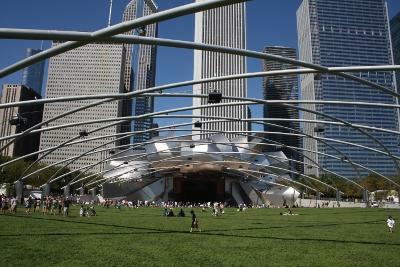 Chicago nightlife has something to suit all tastes, so look around for a venue or attraction that suits you. Most of the clientele and bar staff are very friendly so be friendly and enjoy yourself. And don’t forget to tip! It normally goes at one dollar per drink/ round or more if you feel generous and are very happy with the service. You can expect to be shunned by bar/ waiting staff on future occasions if you don’t tip! Is it expensive to eat out in Chicago? Like most cities, this all depends on what you want to eat and where you want to eat it! As it is America, there are lots of cheap fast food places to choose from. But that isn’t your only cheap food option as there are plenty of cafés, restaurants and diners that offer great meals and deals. There is also a great choice of cuisine on offer in Chicago to suit all budgets. They really are all over the city. Every neighbourhood has a selection of cuisine on offer and areas like Lincoln Park, Belmont and around The Loop have a great selection of eateries on offer. Very well! There’s Italian, Chinese, African and Mediterranean, to name but a few. Chicago is famous for its deep dish pizzas so if you are into your food it is a must on a visit to the Windy City. It can take a while to cook but it is worth the wait! How many different modes of public transport are there in Chicago? There are four main modes of transport to use in Chicago. The most popular around the city is the ‘El’ or Elevated Train that runs both over- and underground around the city, with many different lines and routes to avail of. The bus also covers a lot of the city and its suburbs and is the ideal choice for when the El won’t take you to your destination. The Metra connects the suburbs with the city and is great for when you want to escape the city. And then there are lots of taxis/cabs around Chicago which are pretty reasonable and a great way of getting home after a night out. Is there one ticket that covers all modes of transport? When it comes to paying for your travel there are lots of options available so do your research depending on how long you will be there. CTA card passes can be bought to cover anything from one day to 30 days and will cover you travelling throughout the specified period on the El and bus. We love visiting Chicago for many reasons, but when it comes to food and Chicago we`ve only one thing to say... well, actually three - Chicago style Pizza! We take a look at Chicago this week for our city focus. If this was your view what city would you be in? 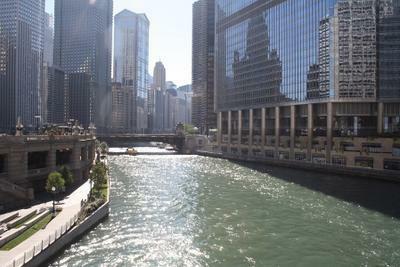 The city of Chicago is a popular choice for tourists from all over the world all year round. Our latest City Guide on Hostels.com has just been added to our website!